This lovely 17th Century farmhouse is a country 'home from home'. It has an informal atmosphere, glorious decor, and relaxing garden. Each room has its own unique character, oak and elm beams and period furnishings. 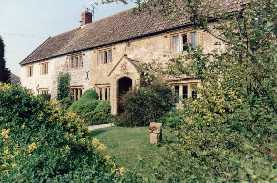 is situated near the historic village of Muchelney with its Abbey and Priest's House. It is surrounded by the Somerset Levels, one of the last unspoilt wetlands in England, a unique landscape with its willow lined roads and drainage channels, known as rhines. There is abundant wildlife, ideal for bird watching, fishing or walking. Muchelney Ham Farm is open all year.